As in previous years, during the next 2014 Summer months, on Saturdays (from January 4th to March 1st, and this Summer will also include March 2nd and 3rd -Sunday and Monday-), the city of Gualeguaychú will dress up to present one of the most expected shows in the area: the Gualeguaychu 2014 Carnival, which summons thousands of enthusiasts that enjoy the brightness, the joy, the thrill and the rhythm of the comparsas (social club's carnival dance group) parading before them at the local corsódromo (carnival runway). 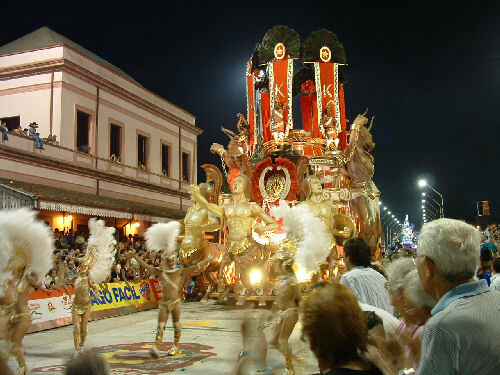 During the Carnivals of Gualeguaychú, all the attendants experiment and feel the true sense of this majestic festival, getting rid of the social and cultural hindrances that structure modern society. 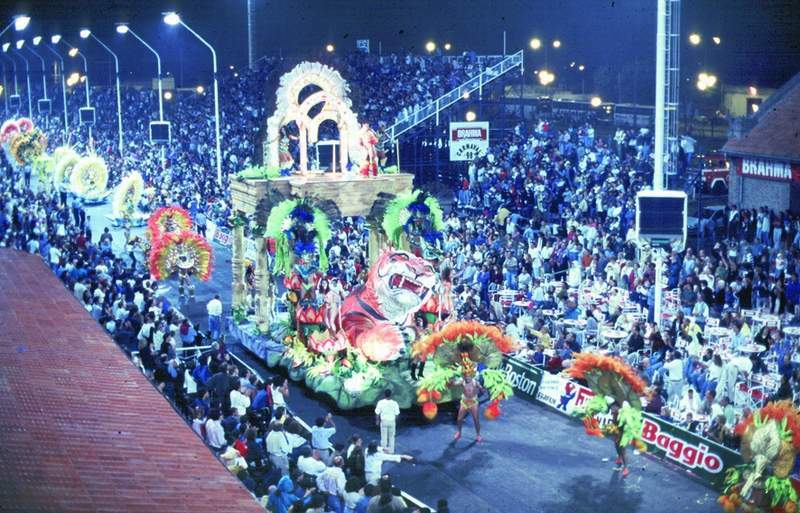 In this 2014 issue, the Carnival of the Country will present the comparsas Kamarr, O'Bahia y Papelitos, which will compete for the first prize as they display the quality of their costumes, the synchrony of their choreography and the great show made up by their floats which, in addition to the themes chosen by the directors, make attendants vibrate and dance as they try to leave a legacy to make the world a better place. This artistic display has been around for over twenty years and is considered one of the most important carnival parades on earth, along with the carnivals of Rio de Janeiro and Venice. 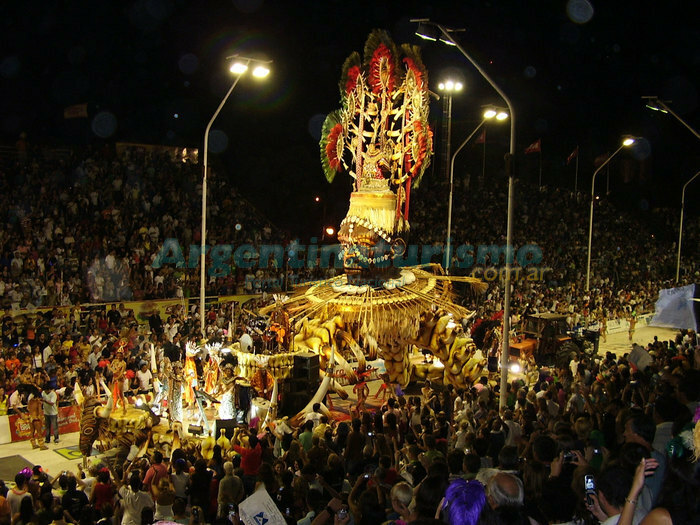 Argentina Discovery provides all the necessary information about the Gualeguaychú Carnival so that you may enjoy the display, the luxury and the continuous and contagious joy and thrill of the most eagerly awaited festival. You will find the most important information about the comparsas, their history, their songs and lyrics, a description of the corsódromo and the Carnival 2014 issue dates and ticket rates. Release all your restrained feelings with us and let yourself be captivated by the comparsas' parade. Batucadas and multicolor feathers get hold of the scene, bringing King Momo back to life, exploding with renovated joy and energy, offering admirors the sensuality of dancing to the rhythm of a pagan festivity. Today, there have been 23 visitors (131 hits) on this page!